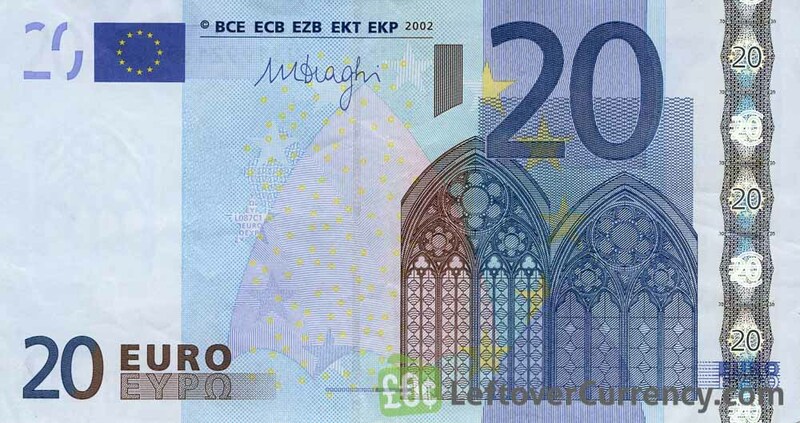 The European Central Bank issued Euro banknotes in 8 different denominations, including this 500 Euros banknote (First series). 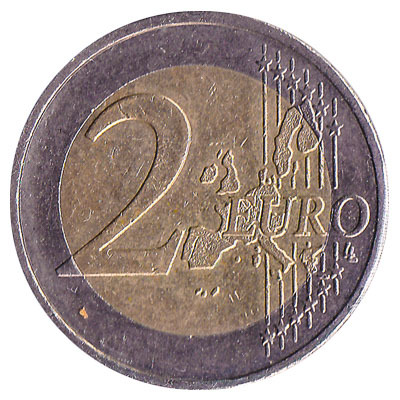 They are part of the Euro banknotes series. 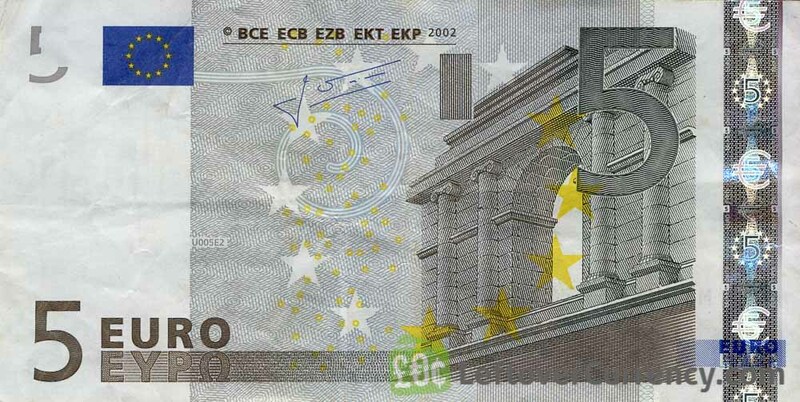 The European Central Bank started issuing these 500 Euro banknotes in 2002. They are currently still in circulation. This highest denomination Euro banknote measures 160mm by 82mm. Printed on the paper note is the text ‘EYPO’. 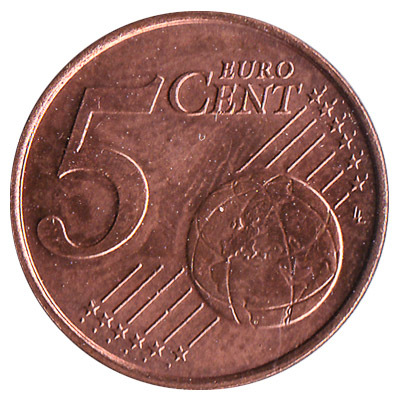 The architectural style depicted on the five hundred euro banknote is Modernist 20th Century. 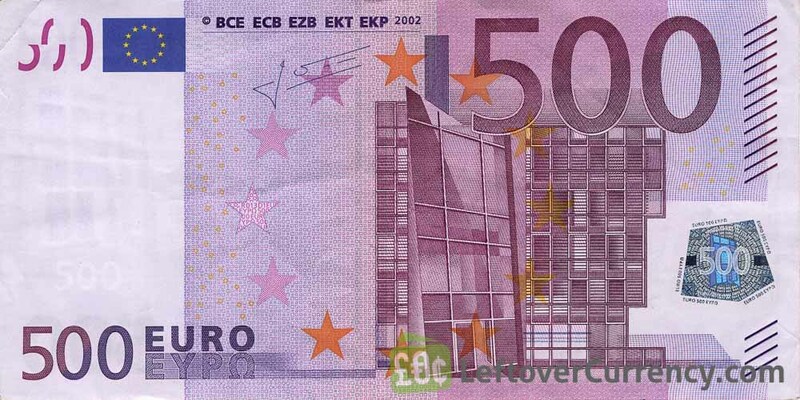 The ECB has decided to withdraw the 500 euro banknote, nicknamed ‘Bin Laden’, from circulation. Starting from 2018 the purple colored €500 notes will no longer be issued. Repeat these steps for any other notes and coins you want to exchange. Complete checkout and get paid within 5 days of receiving your currencies. 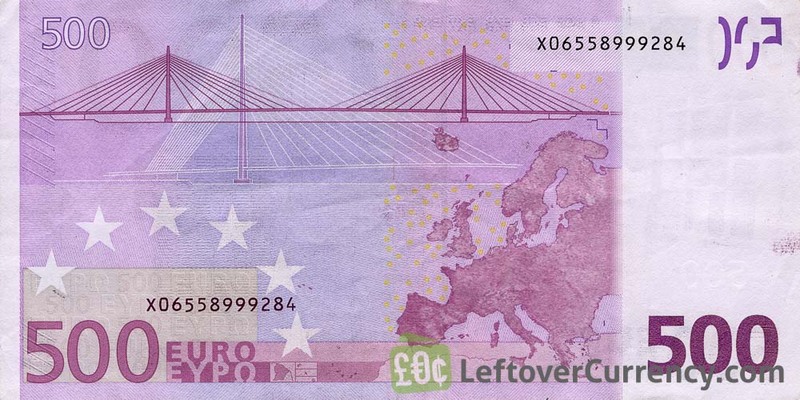 To exchange your 500 Euros banknote (First series) for cash: add it to your wallet now!